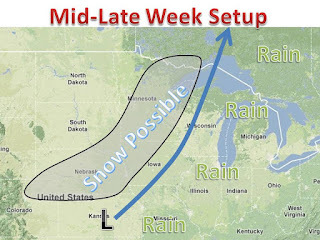 After the major warm up this week, a pattern change is just around the corner. Highs will soar in the 70s in much of the midwest, especially on Wednesday. This warm up can be considered an "Indian Summer." 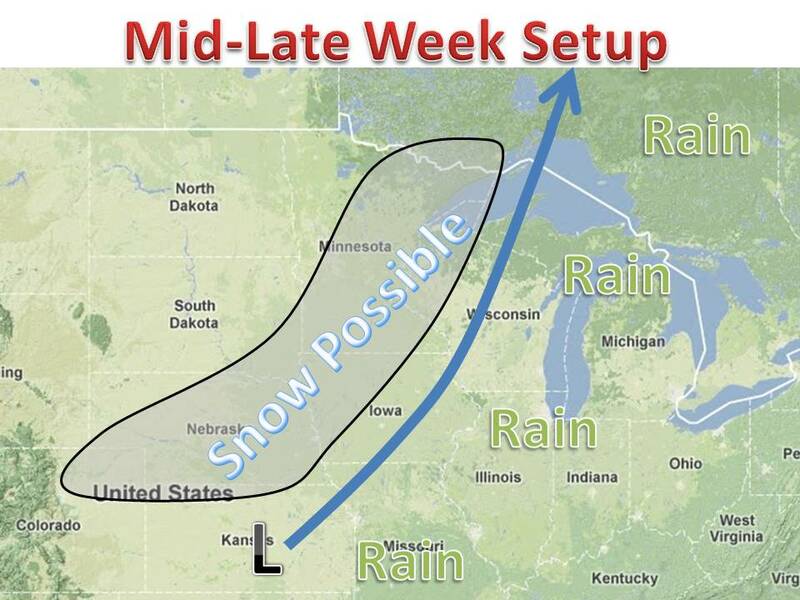 If models hold, snow will break out on Thursday and move up into northern Minnesota by overnight hours. Enough cold air will probably be strong enough to wrap around from Canada to make this snow possible. Snow amounts should not be immense, but 1-3"/2-5" will be a good ball park amount. Check back tomorrow or Wednesday for strong numbers. After the storm moves through the cold air will crash in and much of the midwest will see temps. fall 25-35 degrees from Wednesday to the weekend.